Colour is a fundamental element in design – not only for its impact on aesthetic and technical aspects of human-made environments, but also for its influence on psychological, physiological and social reactions of human beings. 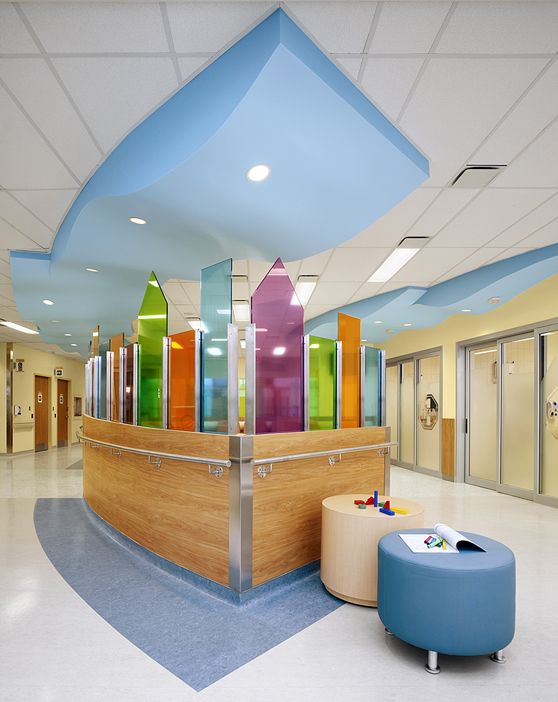 Though the influence of colour in healthcare design is an important topic, the subject matter is complex and multi-faceted. Below is a summary of our research findings surrounding the use of colour in healthcare settings. Colour therapy (chromotherapy) has been suggested for many conditions; however, despite wide belief, there is still no clear scientific evidence that colour affects mood, emotions or psychological well-being in any systematic manner. Of course, that’s not to say the use of colour in healthcare environments does not require careful thought and consideration. Our EDAC Group has completed thorough Evidence-Based Design research, which supports specific recommendations for mental health centers and psychiatric hospitals. We follow these guidelines when determining colour specifications for mental facility corridors, patients’ rooms, and examination rooms. Sensory overload should be avoided and relaxation furthered by cool colours. Lighting should be on the warm side. Avoid lighting that is too uniform (meaning lighting that doesn’t produce shadows). Shadows are a natural experience in the environment. Design Guide 2010 for mental health facilities suggests at least one of the walls should have a soothing warm colour accent to avoid an all neutral, institutional look. Isolation rooms should be cozy, inviting, sparsely and safely furnished; they should not look like punitive environments. The psychology of colour is an important factor in architecture and interior design. 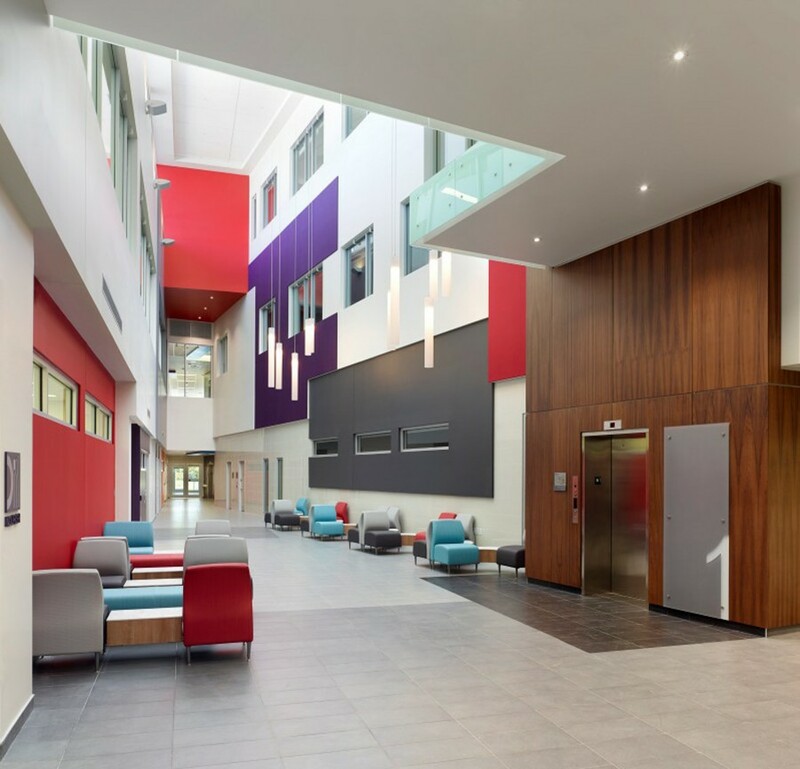 Colour has the ability to evoke and promote emotions; in turn this can influence one’s mental wellbeing and is especially relevant in healthcare facilities. 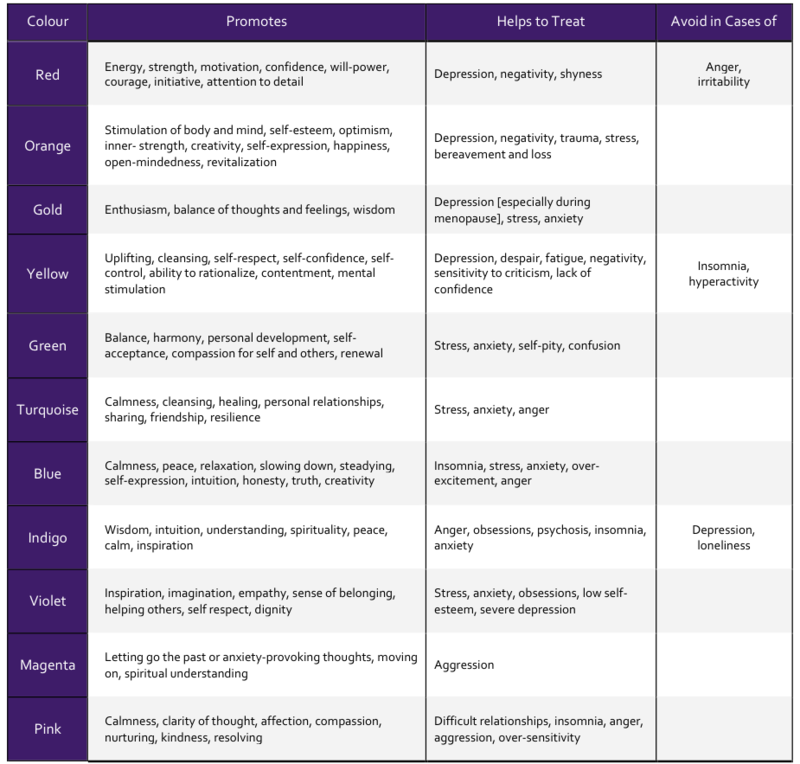 The following chart illustrates the various ways different colours are believed to influence mental health. Source: Cognitive Behaviour Therapy Self Help Resources; In Colour & Wellbeing. It’s worth considering the overall benefits of colour in specific design settings. The perfect combination of colour, from subdued to stimulating, can pay off in healthcare environments by offering patients sensory variety and grounding staff and visitors. The Centre for Urban Design and Mental Health (UD/MH) further explores this topic in the links between colour, architecture, and mental health. Editor’s note: this blog was originally published in August 2013 and has been updated with new projects.